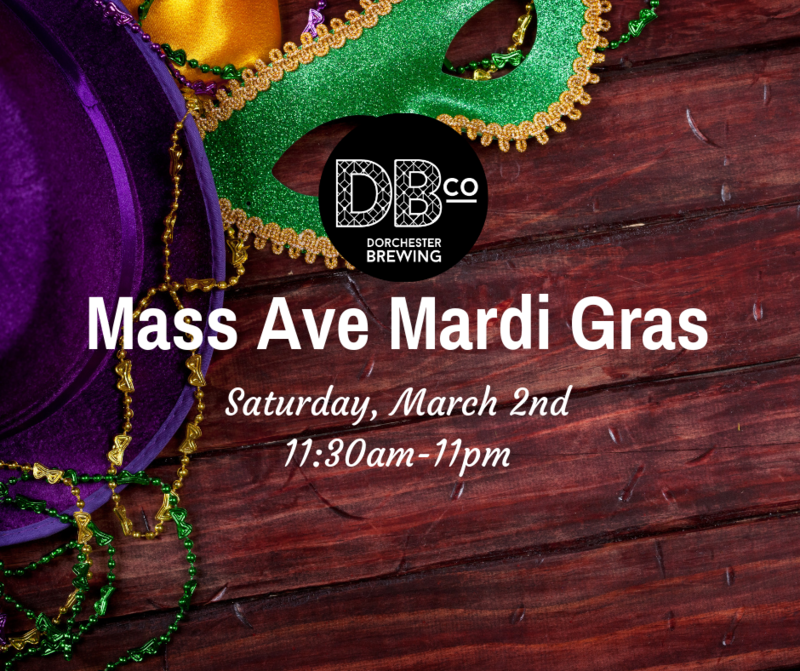 Grab your beads and masks and Celebrate Mardi Gras with Dorchester Brewing Co early on Saturday, March 2nd with classic food, a special beer release, music, costumes and more. As always, no cover and we’ve got expanded capacity, so plenty of room for all! The party starts at 11:30am and goes til we close at 11pm! 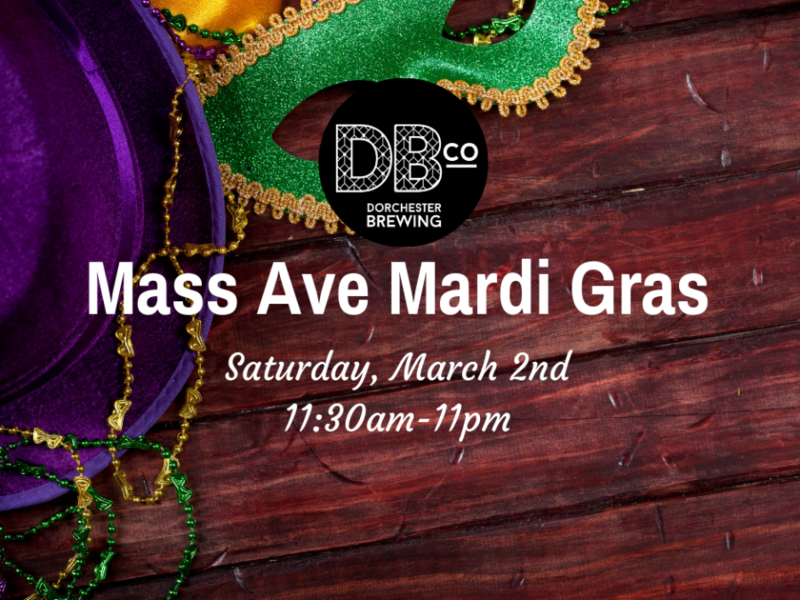 SuperKrewe: Brewed up for the annual celebration of Mardi Gras, this biere de garde is our take on a traditional French farmhouse ale. Inviting hues of golden amber and a sweet malty nose will lure you into a light hop spiciness and a ripe plum character. Dancing lightly across your palate, this classic ale finishes with a familiar mild spiciness and subtle sweetness that is typical when fermented with yeasts of the farmhouse variety.